The Aboriginal people are the original inhabitants of Australia, and archaeologists believe they have lived there for at least 50,000 years. They lived in small family groups across the continent and had a deep connection to the land and their environment. When Europeans began settling in Australia in 1788, many Aboriginal people died trying to defend their land or from epidemics of European diseases. Later, the government tried to assimilate Aboriginal people into white Australia, which caused them to lose a lot of their culture and traditions. The government of Australia has made a formal apology for mistreating Aboriginal communities and has promised to take real steps to help the population. Still, Indigenous Australians suffer high rates of unemployment and poverty. 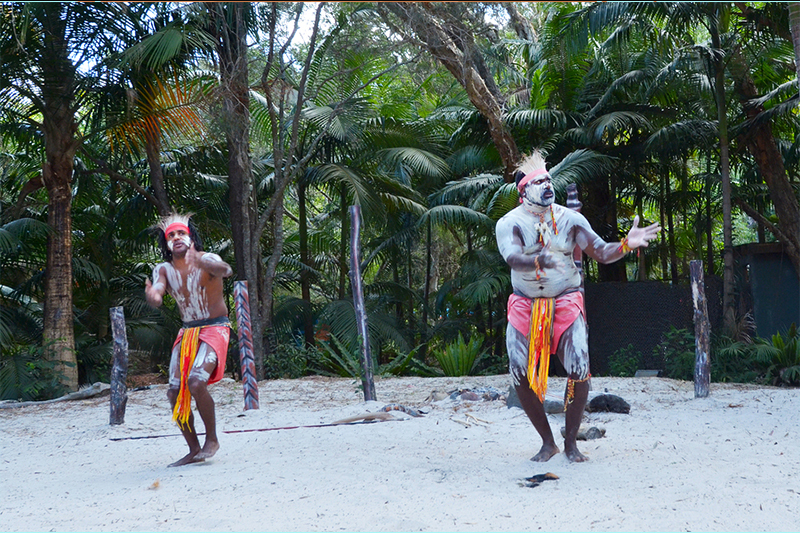 People indigenous to Australia have very distinct styles of art that reflect their land, cultures and lives. Across the country, old aboriginal paintings can be found on rocks and caves, and much of the symbolism and imagery lives on in art today. 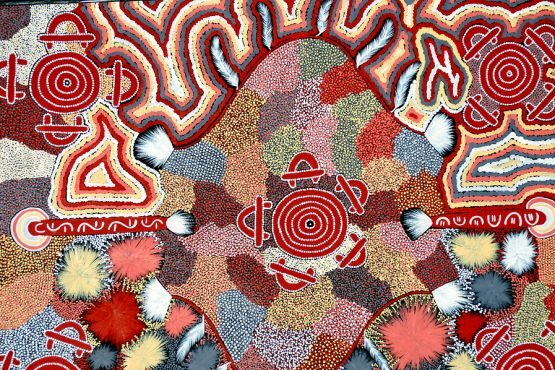 Click through the slideshow below to see old aboriginal art. Australia is home to one of the oldest living civilizations on Earth: the Aborigine. Dating back 80,000 years, Aboriginal people still live throughout the country today. But their history has not been easy. Decades of mistreatment at the hands of European settlers nearly wiped out the centuries-old Aboriginal culture. But recently, some Australian states have tried to repair the damage that’s been done. Two Aboriginal dancers perform at Australian culture show. In 2016 the government of New South Wales (NSW), a state in southeastern Australia, agreed to pay $73 million in reparations to Aboriginal people who were part of the "Stolen Generation." 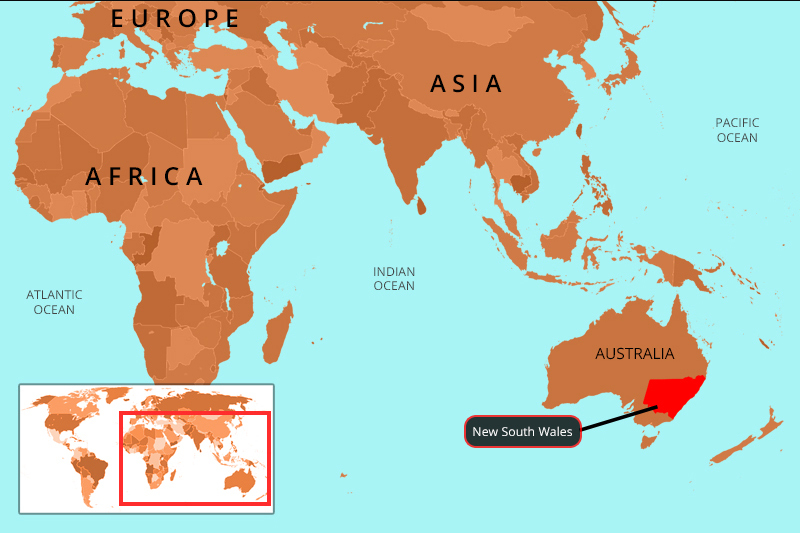 Following the states of Tasmania and South Australia, NSW is only the third state in Australia to do so. The Stolen Generation was a group of Australian children who were forcefully taken from their Aboriginal families by the Australian government between 1905 and 1969. The children were either given to white families or sent to live in group homes, where they often were neglected and abused. Above, a group of part-Aboriginal children, possibly at Kahlin Compound, an orphanage for Aboriginal children. The children were removed from their homes because European settlers believed that the Aboriginal culture was dying out, mainly because of diseases caught from the settlers themselves and other forms of mistreatment perpetrated on the Aboriginal people. Another reason children were removed was simply because the Europeans believed their culture was superior to the Aborigines’ culture. 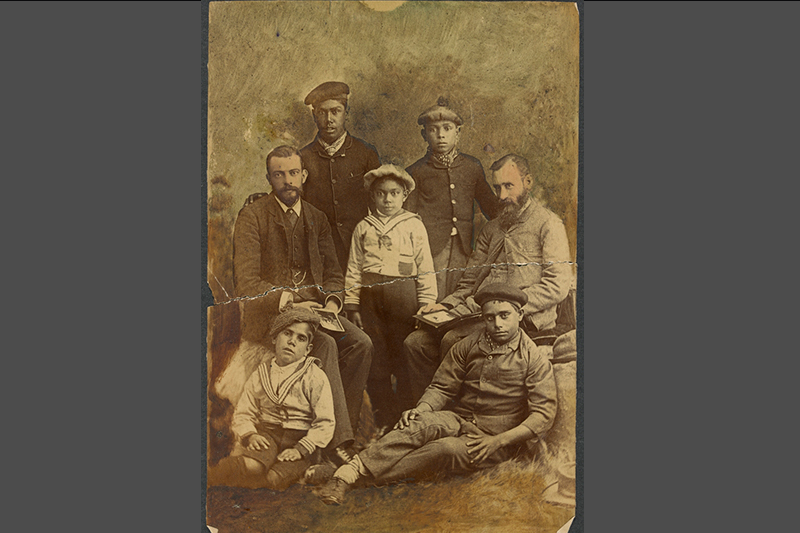 Above, a photographic portrait of Aboriginal Australian boys in European dress. 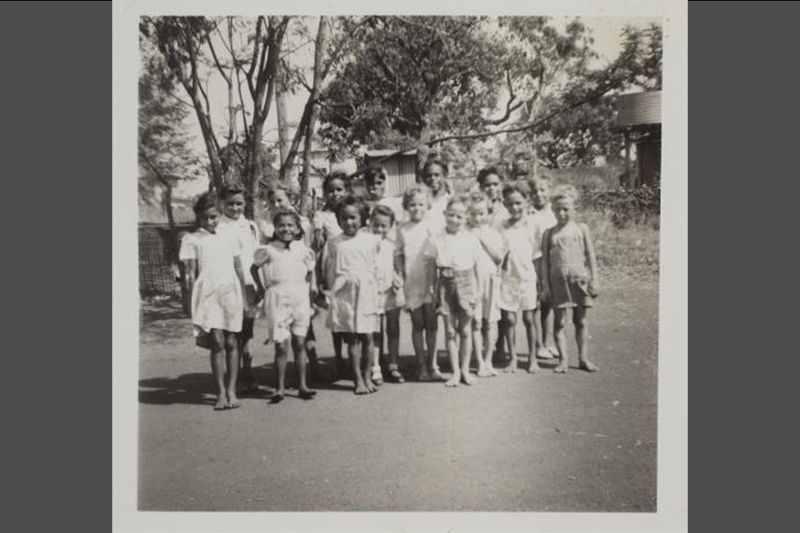 The goal was to assimilate Aboriginal children into white Australian culture. These children were no longer allowed to see their parents and families, their names were changed, and they were taught to feel shame about their Aboriginal roots. Even though the European Australians claimed to want to "help" these children, they were often treated as second-class citizens. 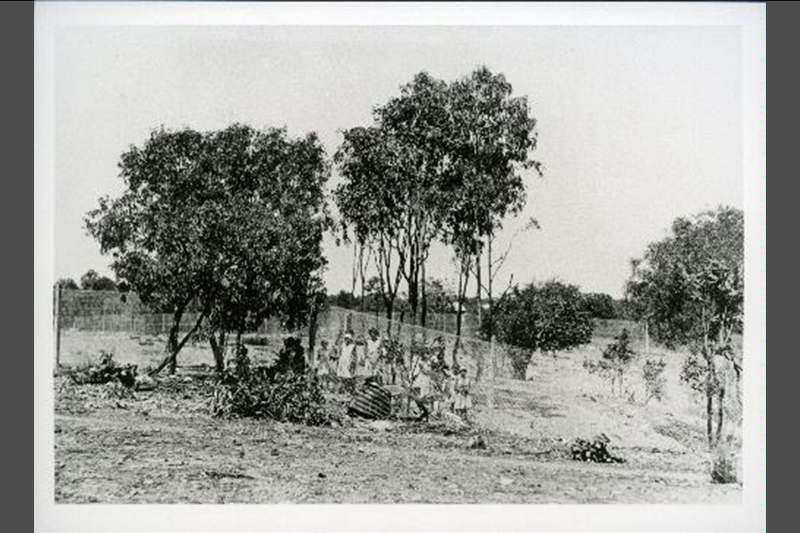 Above, Stolen Generation children stand behind wire netting fence at Kahlin Compound in the 1930s. The results of this mistreatment have been tragic for Aboriginal Australians. Members of the Stolen Generation were less likely than other Australians to go to college or vocational schools or to have good relationships with others. They were twice as likely as other Australians to use drugs and spend time in jail. 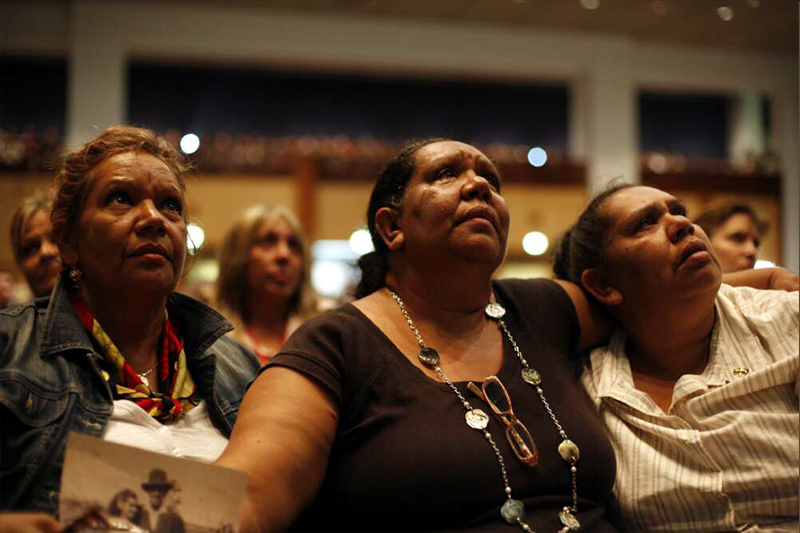 Three women who were part of the Stolen Generation hold a photograph of their parents as Australian Prime Minister Kevin Rudd delivers the Apology to the Stolen Generations on February 13, 2008. The route to reparations for the Aboriginal has been slow. It was only in 2008 that the Australian government apologized for its racist mistreatment. The month before, the state of Tasmania agreed to award $52,000 to each Tasmanian victim of the Stolen Generation. The state of South Australia followed by offering $15,000 to each victim who applied. NSW offered $75,000. However, four Australian states have yet to offer anything. 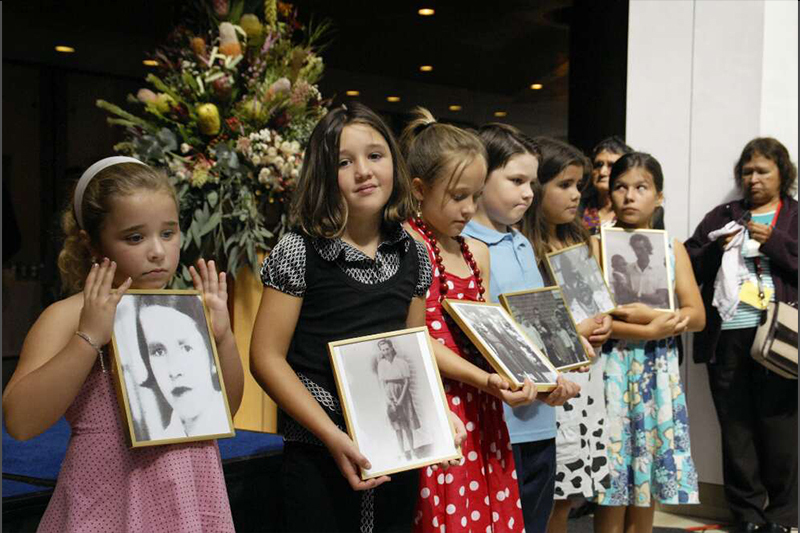 Above, children hold portraits of members of the Stolen Generation during the Apology to the Stolen Generations at Parliament House. According to the state governments who have paid reparations, the money is meant to help the Aboriginal people move on and improve their lives. However, the national government thinks that the money would be better invested in social programs to help all Aboriginals — not just specific individuals. And although some Aboriginals are grateful for the reparations, others believe that money will never erase the pain that they and their ancestors were forced to endure. Above, an Australian newspaper reports that the government officially apologized to Aboriginal people. Vote: How Do You Learn Better? i think people shouldn’t get treated differently because were all the same.